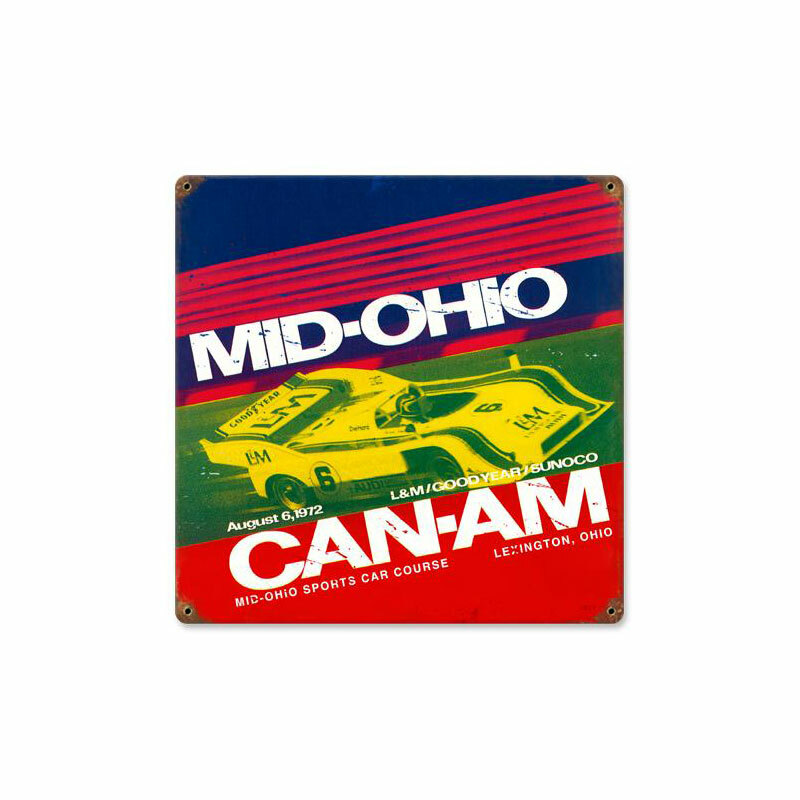 This classic look heavy steel, powder coated tin sign relives the glory days of road racing at Mid Ohio. Fantastic, bright colors. 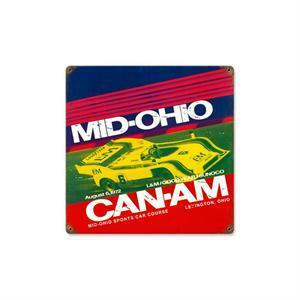 The monster of a wall decoration measures an unrestricted 12" x 12" in max. size. Get one, and remember the racing class at this great american track, where rules were not a restriction.